Go ahead. Mingle with your favourite home décor accents to find a place for this fun, flirty fixture. Subtle, parchment-like glass shades offer a discreet pattern and refreshing look when illuminated. A decorative metal frame that highlights alternating concentric, circular shapes surrounds all fixtures. 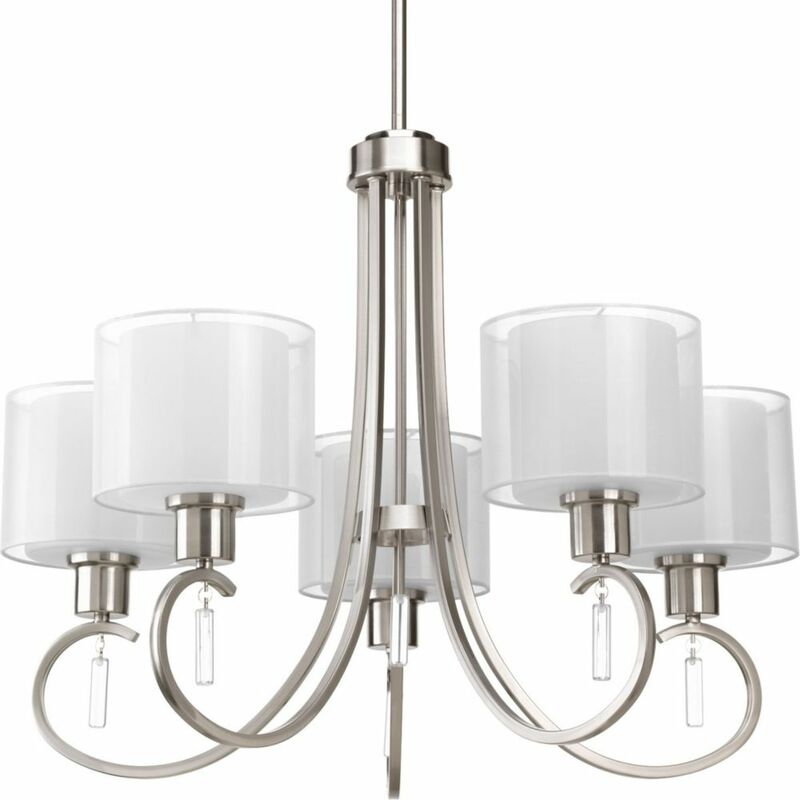 The Brushed Nickel finish provides a nice, softly patterned diffused light for a variety of room settings. Invite Collection 5-Light Brushed Nickel Chandelier Invite provides a welcoming silhouette with a unique shade comprised of an inner glass globe encircled by a translucent sheer Mylar shade. The rich, layering effect creates a dreamy look that is both elegant and modern. Offered as a complete collection, the Invite styling can be carried throughout your home or as a focal style in a special room.